For the unstoppable Savannah Connor, it is not enough to just be aware of the unfairness women (especially the underprivileged) suffer in the patriarchal society she lives in. She has to fight for women’s rights, protesting all over the country. In the year 1898, it is not surprising that the “sassy, liberating rabble-rouser” has been arrested thirteen times. Yes, dear readers, our heroine is a bona-fide trouble-maker extraordinaire – but of course, for the right cause. Frankly, Constable Zachariah Garrett, most likely, will be more sympathetic with her “profession” if it does not complicate his. Keeping peace, safety, and order in Pilot Isle (as well as retaining his self-sacrificing, “saintly” reputation) is his responsibility. And Miss Connor is Trouble (with a capital T) from the get go, especially to his remarkable self-control. She threatens more than his sanity, she also threatens to unleash his wild, fun-loving real self. Naturally, there are more complications to them getting together (for sure, you saw that coming). Both of them are stubborn with baggage galore. Zach is a widower with a son, and he promised never to marry again due to so much guilt. Savannah also views marriage in a negative sense (you would too if you have male chauvinistic pigs for a father and brother). However, from the very start, they find each other irresistible. But, giving in to that attraction will cause so much complications, enough to turn their world upside down. With Tides of Passion, Ms. Tracy Sumner created two well-rounded, complex protagonists that readers will like. I always appreciate strong, intelligent heroines, and Savannah most definitely surpass that. Despite coming from a privileged life, she devoted herself to improving the life of the more unfortunate women. Zach actually is as devoted as Savannah to the people of Pilot Isle, risking his life many times. So, he is a perfect match to her. I also like the fact that he never really (okay, he does try, albeit unsuccessfully) controls her. The only thing I disliked about Savannah is her use of big words. It makes her condescending at times, and I prefer not needing a dictionary beside me if I am trying to relax and enjoy a novel. She and Zach also talk too much when they are making love which lessens the sensuality and believability of the scenes. Nevertheless, the dialogue is witty and hilarious. Savannah is a riot (pun intended). For sure, dear readers, you will find this novel entertaining too, and I do recommend it. Tides of Passion (Seaswept Seduction Series) sold by Amazon Kindle October 2011. 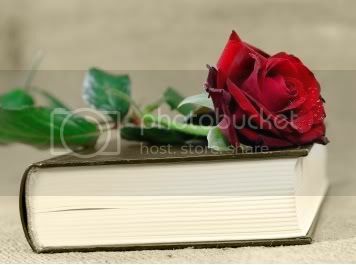 This entry was posted in 3.5 White Roses, Book Courtesans, Book Reviews, E-book, Historical, Red Rose, Romance, The Mischievous Courtesan, Women's Fiction and tagged Book Courtesans, Book Reviews, E-book, Historical, Reading Haven, Romance, Tides of Passion, Tracy Sumner, Women's Fiction. Bookmark the permalink.